This was served to us when we visited my wife's good friend Tita Rem in La Union. 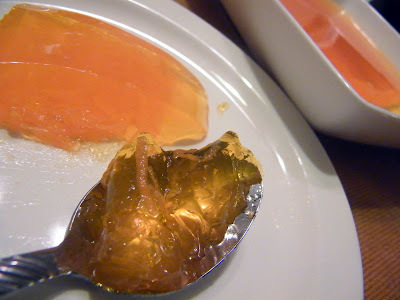 I thought it was a very clever way of serving gelatin, which is a fun desert but with a nutritious twist. Who would have thought that carrots and gelatin can be so good? They called it Sunset Surprise. Not sure why they named it such but it has a fun ring to it! We made some of this last Christmas break. We just loved to scoop some out while watching TV, and was gone in no time at all. 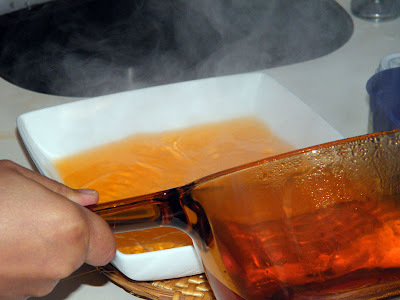 Cook gelatin as per instructions. Pour in a decorative / serving bowl. You may also use a mould, though you can serve this in the bowl where it has set, and this is what we did. 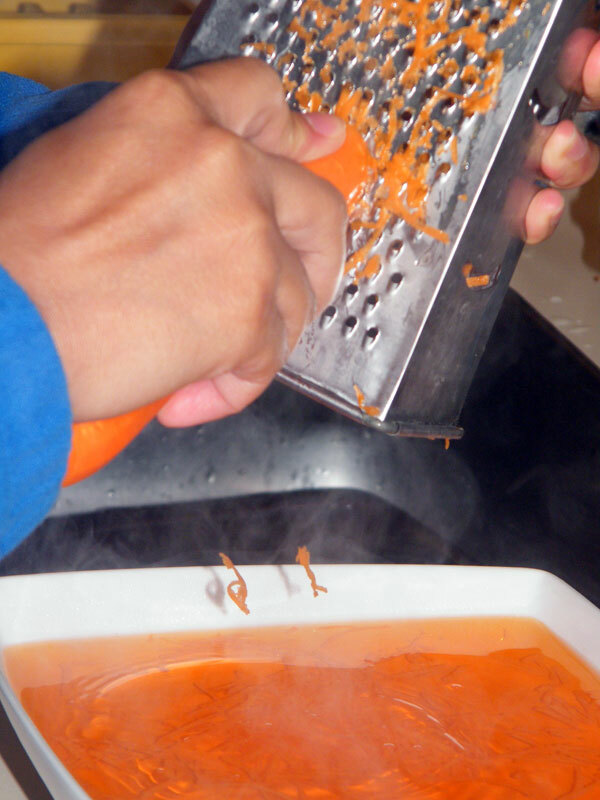 Remove the skin and grate the carrot over the gelatin. 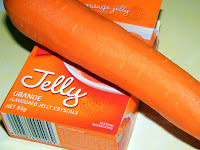 Not too fine, we need to have some carrot bits visible in there. Cool, then refrigerate. Serve chilled.